Looking for the best Dog Walking trails around Duncan? Find the top rated dog walking trails in Duncan, whether you're looking for an easy short dog walking trail or a long dog walking trail, you'll find what you're looking for. Click on a dog walking trail below to find trail descriptions, trail maps, photos, and reviews. 5 Stars for an excellent trail. Well marked, wide smooth concrete, water on trail, safe and plenty of safety features, easy contours, scenic, clean, maintained and a joy to ride. Wichita Falls is a bicycling destination city. Ran from Lucy Park towards downtown.This part of trail had beautiful views,some up/down elevations,and was uncrowded.Highly recommend if you're in Wichita Falls. I have been enjoying this trail for the last 12 years. It has grown from a few miles to almost 18 total. The City has done an amazing job developing this into one of the premier trails in the Southwest. The variety of scenery is amazing, and wildlife populates several areas on the trail. I alternate running and biking throughout the year and enjoy the changing views. Very level and quite easy with only a few rolling hills. I loved trekking this trail, the wildlife and the friendly natives made it very interesting. 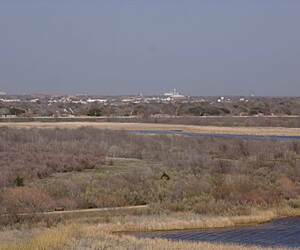 Lake Wichita is also a part of the natural migration of wild birds and has a bird rescue and sanctuary called the "Wild Bird Rescue." The paved trail and hill make this hike a nice challenge. This trail is the one that my wife and I started on when we decided to get back in shape. It's a very easy ride with lots of shaded areas and picnic areas along the entire length. When it is connected to the upper part of the trail it will end at one of the prettiest little lakes in the area. This trail makes for a very enjoyable ride.